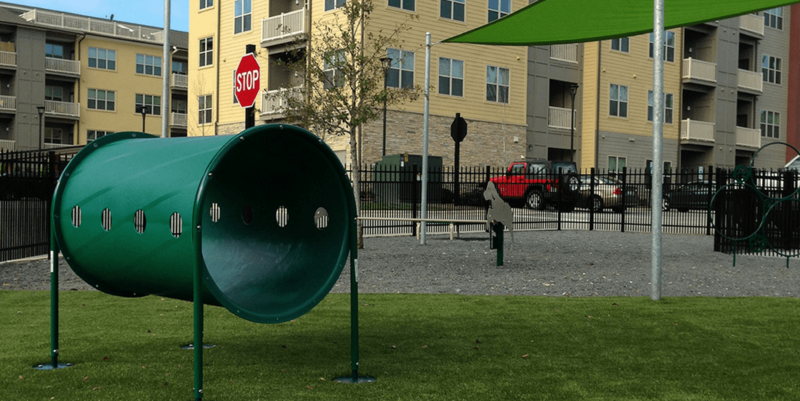 Previously there was no dog park for the residents and their pets living in the community of Six Forks, but a large parking lot showed promise for a small dog potty/play area. ForeverLawn of the Carolinas stepped in to provide a superior surfacing solution. 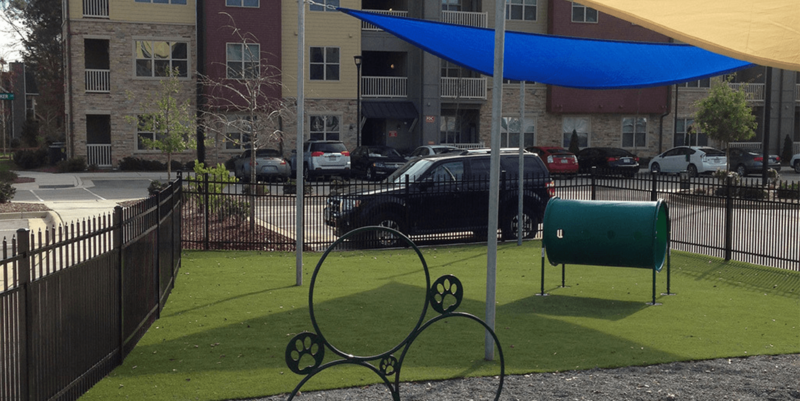 900 square feet of K9Grass Classic was installed to offer the dogs a safe and comfortable surface, while also being a 100% drainable and low maintenance solution. 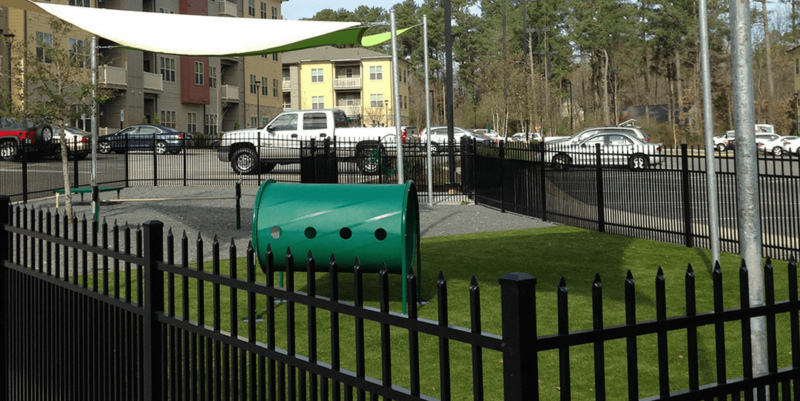 Now residents and their dogs can enjoy this beautiful, well manicured space.